— Chief Minister Naveen Patnaik flags off Rajdhani Express Bus Service in Bhubaneswar. — Sundergarh MLA Jogesh Singh resigns from Congress. — Modi announces ex-gratia of Rs 2 lakh to next of kin of Kendrapara boat tragedy victims. — SJTA Chief says a new committee will be formed to oversee rituals at Puri Srimandir. — 4 children from Odisha to get National Bravery Awards 2018 on Republic Day. — After Kandhamal, another minor girl delivers baby in Odisha. — Jammu & Kashmir: 3 bodies recovered; search operation underway. 10 people trapped under snow after an avalanche occurred in Khardung La, Ladakh. 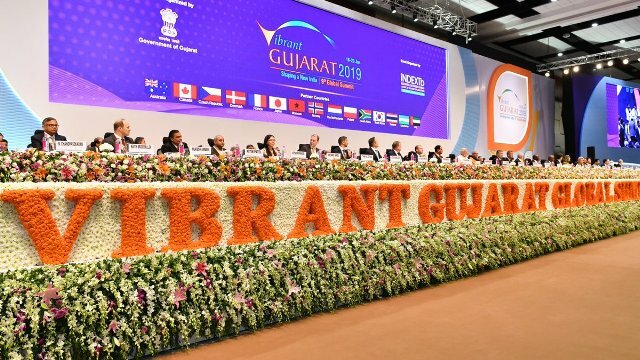 — ‘India ready for business as never before’, says PM Modi at Vibrant Gujarat Summit 2019. — Explosion rocks Srinagar Lal Chowk. — Uttar Pradesh Cabinet approves decision to rename Mughalsarai tehsil to Pandit Deen Dayal Upadhyay tehsil. — Pocharam Srinivas Reddy has been elected as the Speaker of Telangana legislative assembly. — Justices Dinesh Maheshwari, Sanjiv Khanna take oath as Supreme Court judges. — Uttar Pradesh government approves 10% reservation in government jobs and education to economically weaker section in the general category. — Supreme Court directs Kerala government to provide adequate security to the two women who entered & offered prayers at Kerala’s Sabarimala Temple on January 2. — India, Uzbekistan sign agreement on uranium import. — 21 killed in Colombia car bombing.